Over 1,600 youth will come through YES’s doors this year. 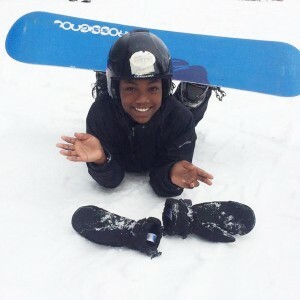 Your support will help a new generation of children and teenagers grow with us, from learning how to ski to learning how to live healthy lifestyles to becoming a leader in their communities. All transactions are safe and secure, your information will be encrypted and will be sent through our secure server. Double the Impact of your Donation – Learn more about Corporate Matching! Sponsor an Event – Showcasing a partnership through a corporate sponsorship with us will help your company leverage its name through the ideals, values, and mission of YES. Read more about available event sponsorships here. Donate Goods – YES accepts a limited amount of prearranged equipment and winter clothing donations. To donate goods, please contact David Harris, Youth Recreation Coordinator, at [email protected] to organize donations. Provide an Auction Item – We hold an auction at our annual Black Diamond Gala fundraiser. Contact Jamie, Director of Development, at [email protected] to donate an item. Elimination of the capital gains tax that would ordinarily become due if you had sold the stock on the open market and donated the proceeds of the sale to YES. To donate stock to YES, please contact your firm for its Transfer of Account form. YES’s Account at Charles Schwab is #6448-7667. Schwab’s DTC # 0164. Please enter this information in the appropriate field on your form. If you have any additional questions, please contact Bryan Van Dorpe at [email protected]. Click here to download YES’s Stock Donation Form. Other Donation Methods – If you are interested in making a bequest, providing pro-bono services, or contributing in another way, we are grateful for your support. Contact Jamie Burch at [email protected] for more information.